Scout Active Support Units were introduced in 2009 and superceded the Scout Fellowships that had been in place for many years. Membership is open to anyone over the age of 18 and there is no upper age limit. Traditionally the membership of the Scout Fellowship were ex-Scouters who wanted to retain their links to Scouting but were unable to commit the time to being Leaders. Today membership of a Scout Active Support unit is made up of these ex-Scouters, plus parents and other interested parties of all ages. As an official section of Scouting, members of an Active Support Unit have access to the camp sites and facilities provided by the Scout Association. Many members of Units to wear the Scout Uniform, (although this is generally a local decision of the members) and arrange meetings and events for themselves based on the interests and motivation of the membership. 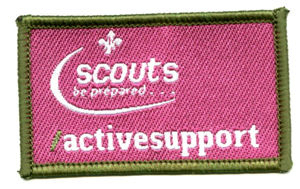 Active Support Units play another important role in Scouting. They will often be found helping at local Scouting events or visiting sections with topics and interests to extend the variety and content of programmes to our younger people. Select Register and complete the form to find out more information about "Dreadnought" which encompasses our Scout Active Support Unit.